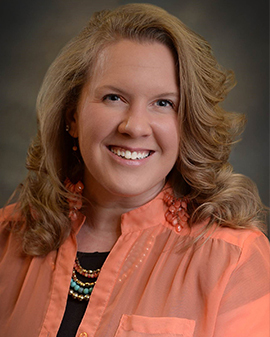 Bryana Larimer is a Business Trainer & Consultant for the Missouri Training Institute (MTI), a partnership between the Robert J. Trulaske, Sr. College of Business and University of Missouri Extension. Bryana holds a Bachelor of Arts degree in journalism and began her career in broadcast as a reporter in Phoenix, Az. Inspired by a desire to continuously learn, she dove into broadcast production and promotions leading to her role as an Assistant Technical Director for The Networks of Mid-Missouri in Columbia, Mo. Prior to coming to MTI, Bryana served as the Public Information Officer for the Columbia Police Department where she managed crisis communication and marketing. She has delivered training to local businesses related to safety, as well as trainings to state-wide organizations on topics including: media relations, social media for businesses, and strategic communication.